At this point you’re probably wondering what strange Jeep I have dug up and why there is only 2/3 of its cab present. 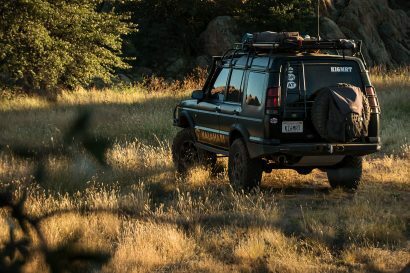 Well believe or not, this 1998 Cherokee isn’t someone’s garage project or a hacked apart Franken-Jeep, but is in fact ARB‘s award winning 1999 SEMA vehicle. 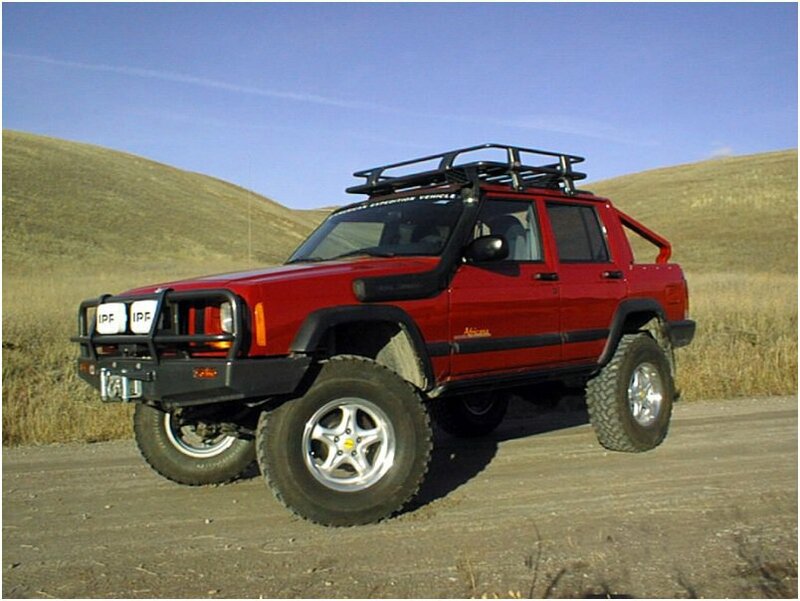 It features a custom chassis that was designed by AEV and is one of two Cherokees ever built with a removable rear roof. The second one, which was delivered to Daimler-Chrysler in the same year, was used to build a safari style concept vehicle known as the Total Exposure, making this very interesting truck the only Africana in existence. Just a quick look will tell you that this Jeep was modified to be as capable, safe, and downright cool as possible. At the start of the project AEV installed an additional roll bar tied to the substructure of the frame for increased rigidity. They then widened the C-pillars by a total of 3″ using 14ga steel before sending the chassis on to ARB for further modification. A Rubicon Express Extreme Duty lift raised the truck 5.5″ to allow a set of 33″ BF Goodrich Mud Terrains to be installed with ample room to spare. 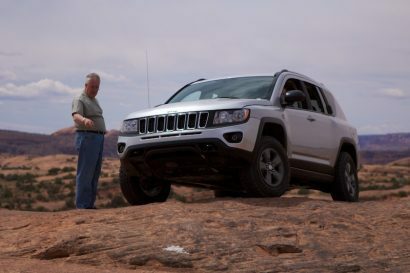 This Cherokee will need that room too, since the TeraFlex sway bar disconnects combined with the Old Man Emu extended travel shocks will provide plenty of articulation while on the trail. 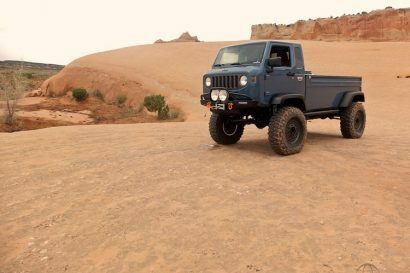 To really top off the performance aspects of this Jeep, a front and rear ARB air locking differential were added, as well as a 4.11 gear ratio to help it crawl through just about anything you encounter. Of course let’s not forget that this is an ARB show vehicle, so naturally a Safari snorkel and ARB bumper have been mounted up front with an AEV prototype bumper and receiver in the rear. 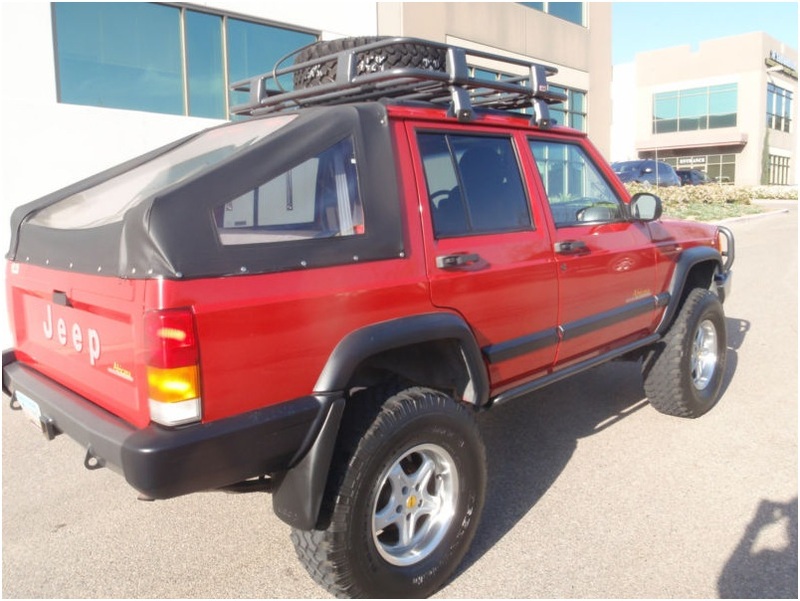 With just over 61,000 miles and a pedigree as impressive as its parts list, this Africana is ready for almost any adventure you throw at it, and could make a great choice for your next vehicle. This vehicle is one of a kind. Converted by American Expedition Vehicle . The Africana was originally displayed by ARB in the 1999 SEMA Show, where it won the prestigious Daimler Chrysler Award. It has been in various magazines and traveled to many shows. Very little off-road usage (Camp Jeep ’00 and a photo shoot in Moab). The rest of the mileage is highway usage. The most obvious modification is the rear cut way top. The roll bar is 2×4 .125 wall tubing fully gusseted and tied to the substructure, the C-pillars were widened 3″ with 14ga steel to further reinforce the vehicle. A center high mount stop light is integrated into the roll bar, soft-top, MJ tailgate, custom rear quarters. Factory Equipment: 1998 Cherokke Sport, PW< PL, PB. PS, Air Conditioning, Command Trac 4wd, 4.0L, Automatic. 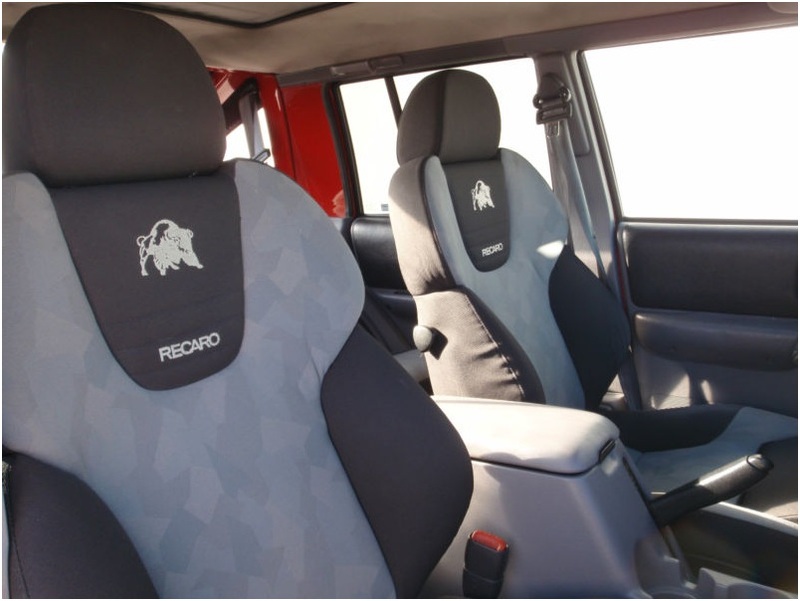 Aftermarket Equipment: Rubicon Express 5.5″ Extreme Duty Lift, Factor Dana 44 (MJ with the larger brakes), Dana 30, Air Lockers and 4.11 ratio front and rear, Front bullbar with Warn XD 9000 winch, ARB Roof Rack, IPF 900 MSR lights, Recaro fronts seats, Webasto Electric Canvas Sliding Roof, ORGS Super Nerf Rocker Guards, Currie Slip Yoke Eliminator, CV Driveshaft, Safari Snorkel’s snorkel system, Tera Flex swaybar quick disconnects, Tera Flex Adjustable Trac Bar, Old Man Emu Extended Travel Shock Absorbers, prototype AEV Rear bumper with Receiver, AEV Wheels, AEV Tire Mount for Roof Rack, BFG 285-75R16 MT Tires and the half roof conversion. We purchased this vehicle from the original owner (located in Seattle) in 2003 with 44,000 miles on it. We put very little miles on it since we bought it and has been mostly garaged. We are located in Southern California (Corona), but it is licensed in Arizona. There is no California smog equipment installed.